. Roof Repair Houston | #1 Houston Roofing Company | Anchor Roofing, Inc. The roof is undoubtedly one of your home’s most valuable assets. In addition to protecting you from the elements, it keeps you safe and secure from the bad guys, not forgetting the huge role it plays when it comes to your home’s exterior décor. The importance of a roof can never be exaggerated, neither can it be overlooked. We are a BBB-accredited Houston roofing company that you can trust and depend on for all your roofing needs. At Anchor Roofing Inc., we strive to deliver nothing but the best. At Anchor Roofing, we provide a wide range of roofing services to our esteemed clients, both commercial and residential property owners. Some of our services include roof analysis, roofing inspection, roofing installation, roof replacement, weatherproofing, and waterproofing. 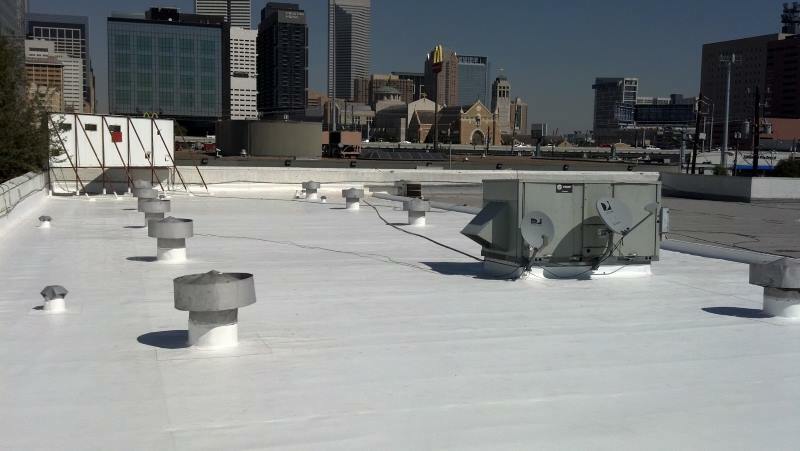 Give us a call today at (713) 266-2777 for these and other roofing solutions in Houston, TX or surrounding areas. You can also visit our services page for more information about the solutions we have in store for you as far as roof repair Houston services are concerned. 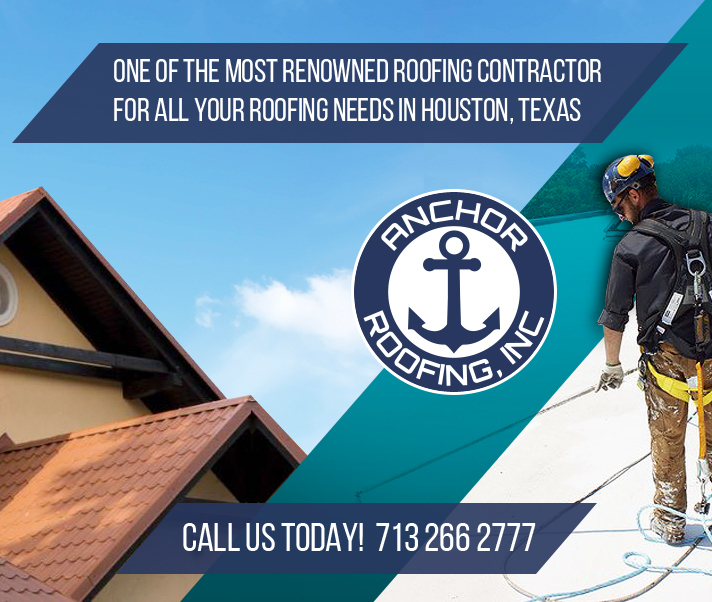 Call Anchor Roofing today on (713) 266-2777 for a free quote or more information about any of the above or visit the contact us link at the far right side of this page. But due to the effects of time, the elements, and other factors, roofing on any property is always subject to minor and sometimes major damages. 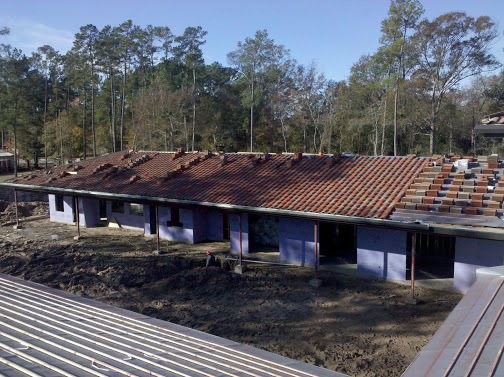 If you’re looking for a dependable roof repair contractor in Houston, Texas, you’ve absolutely come to the right place. If you need emergency roof leak repair, we know how urgent and important such a situation is, and we take that very seriously. At Anchor Roofing, we understand just how devastating roofing leaks, hail damage, and other types of problems can be. 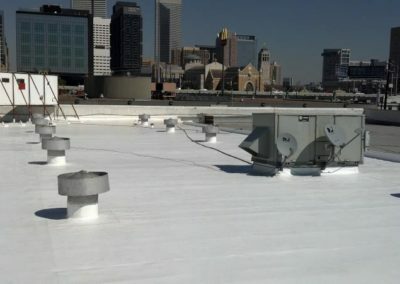 Whether it’s your commercial property or residential property roof that you need repair for, we have the expertise, knowledge, experience, and state of the art equipment it takes to provide you with the best roof leak repair solution. Over the years, we’ve handled numerous roofing repair projects for dozens, if not hundreds of homeowners and residential property owners to satisfaction. Whether your roof is leaking or you had some shingles blown away by the wind, hundreds of our previous clients will tell you that we’re the guys to call. We always strive to provide quality roofing services that leave each and every one of our customers comfortable and satisfied. 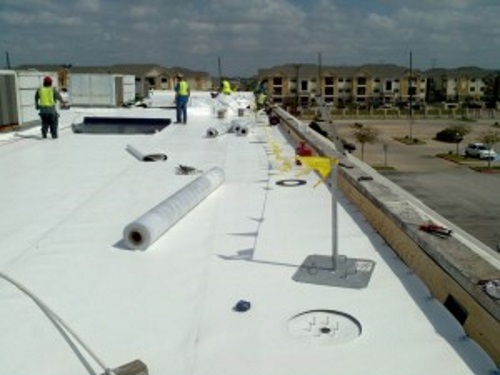 Have no doubt, this exceptionalism and satisfaction guarantee is what has kept us in business for more than two decades in Houston’s roofing repair industry. Being a huge investment as far as your residential property is concerned, your roof deserves the proper care it needs for it to last long, maintaining its eye-catching aesthetic appeal. Proper maintenance is what also keeps your property’s value high. Unbeknownst to many, however, maintenance also involves inspection to detect damages and fix them before they escalate into issues that costlier to address and potentially even dangerous to the residents. Call us at (713) 266-2777 or Contact Us today for a free estimate! 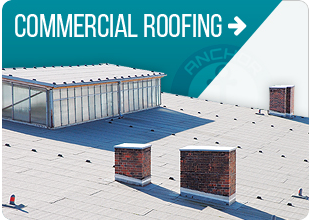 Anchor Roofing Inc. is one of the best roofing companies to approach in Houston for the various needs of your commercial property roof. As a business owner, a damaged, leaking, or tattered roof can easily spell doom to you and your enterprise. A good roof is supposed to keep your property as well as the assets and inhabitants inside protected from the elements and the bad guys. A beautiful roof can also speak a positive vibe about your brand. Reach out to us through (713)266-2777 or the Contact Us page for more information! They say experience is the best teacher, we agree and continue to say experience is the best feature. Having been in business since 1998, you can rest assured that not many roofing contractors in the area can match the expertise and experience we have managed to attain for more than 2 decades. This long hands-on experience has equipped with our contractors with the skill set and expertise required to successfully handle almost any roofing project with promptness and assured satisfaction. This, along with the many positive online reviews from previous beneficiaries will tell you one thing. You can rest assured that the results will amaze you. Baytown, Brookshire, Clear Lake, Columbus, Cypress, Deer Park, Galena Park, Galveston, Katy, La Marque, La Porte, Missouri, Pasadena, Pearland, Richmond, Rosenberg, Sealy, Spring, Stafford, Sugarland, and The Woodlands. 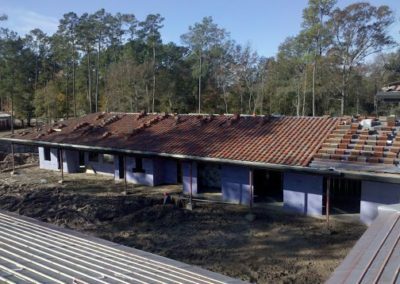 Are you having problems with your current roof in Houston, TX and you need it repaired or replaced by a professional contractor? 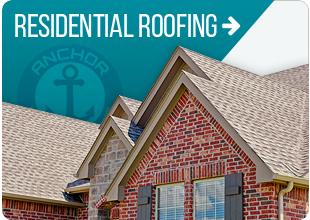 From roof leaks to general roofing repair, At Anchor Roofing, we’ve got you covered. All you have to do is call the experienced, licensed, bonded, and insured roofers in Houston Texas on (713) 266-2777 or Contact Us today for a free estimate or more information.